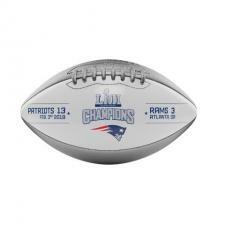 Patriots Super Bowl 53 Champions Commemorative Composite Metallic Football | Sports Memorabilia! 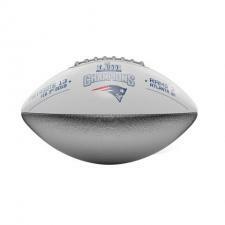 Celebrate the Patriots Super Bowl victory with this Patriots Super Bowl 53 Champions composite Commemorative football. 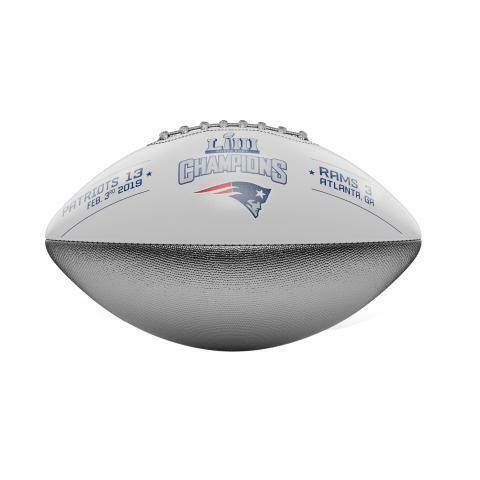 This commemorative Super Bowl 53 Champions Football honors the Patriots in Super Bowl LIII that was played on February 3, 2019 in Atlanta. 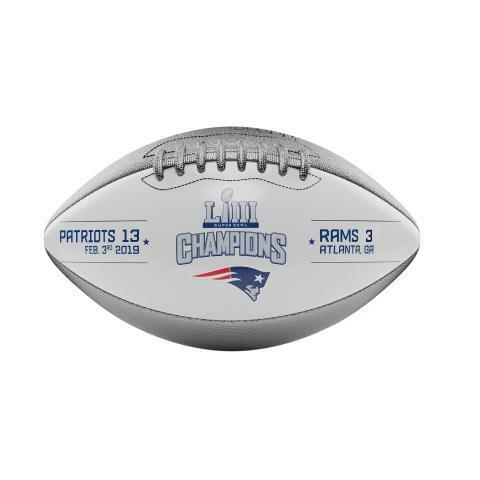 This Championship football has the New England Patriots color logo in the center of the white panel and the score for each team (Patriots and Rams), the date, location, and "LIII Champions" printed on the football.